Managing a lake or pond is hard work. Not only does it require knowledge and skill, but also choosing the proper strategy and tools. However, there is a new biological treatment strategy available to anyone that wants to improve treatment efficiency and outcomes. 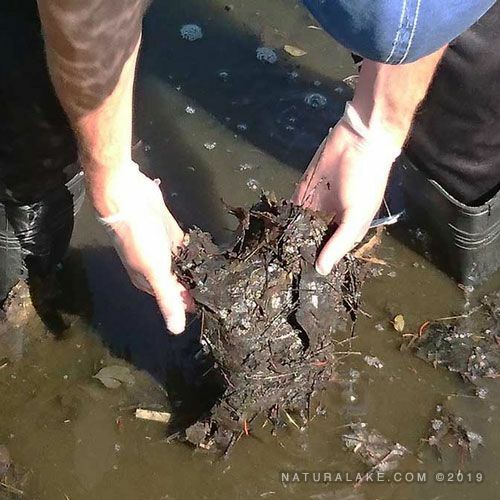 Muck is a combination of organic debris such as dead algae, plants, grass clipping, leaves, or animal waste and inorganic sand, silt and gravel that builds up on the bottom of lakes and ponds. 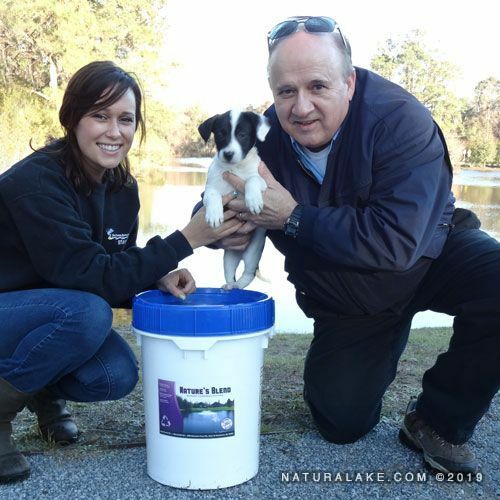 Problematic muck, stores excess nitrogen and phosphorus that is readily available for algae and aquatic plants. In addition, too much muck can reduce water quality and clarity or create a toxic environment for fish or other organisms. Much like the fish, most of the microbial community in an aquatic ecosystem slows down as the water cools. 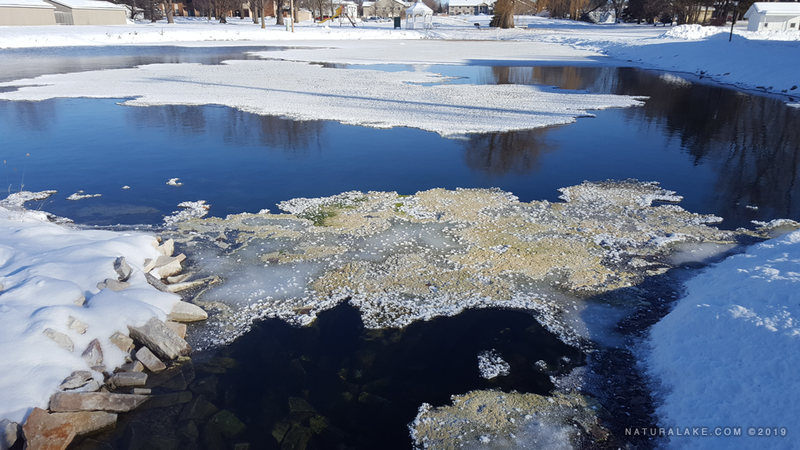 Bacteria and other organisms that are actively decomposing leaf litter, fish waste, dead plants and algae, and other sources of detritus in warmer water are drastically slowed or even go dormant. 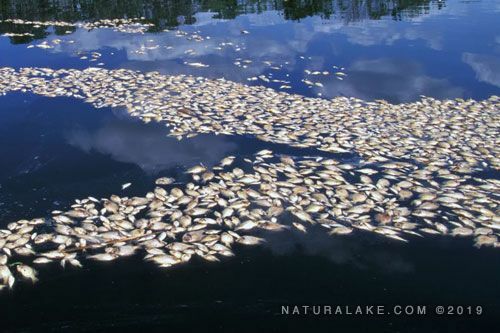 There are generally four causes of fish kills —both separate and related —including oxygen depletion, algal blooms, toxicity, and disease. This article discusses those causes of fish kills how to clean up afterwards, and most importantly how to prevent them. 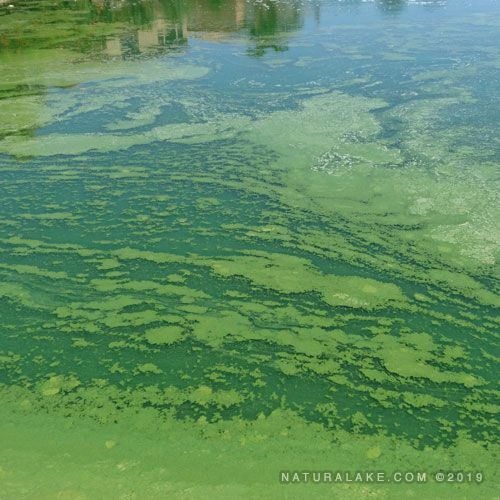 Harmful algae blooms, commonly known as HABs, are sometimes toxic overgrowths of algae that are often found in stormwater ponds, retention basins, or community lakes. Implementing algaecide treatment programs alone cannot prevent HABs and they often occur abruptly after years without any issues. 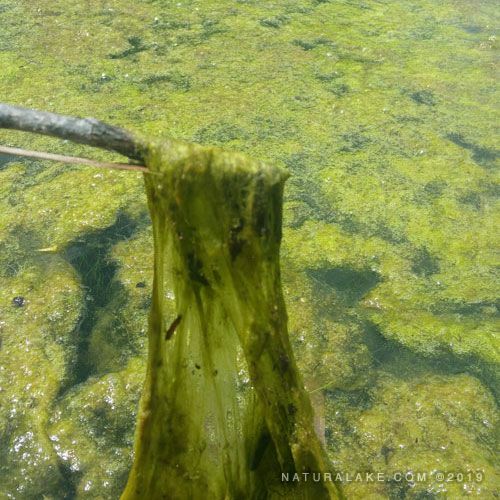 String algae, horse hair, moss, and pond scum are just a few of the common terms used to describe the many different species of filamentous algae. These microscopic algal cells reproduce and link together in strands or colonies that can be seen attached to substrates below the surface of the water or as large floating mats on the surface. 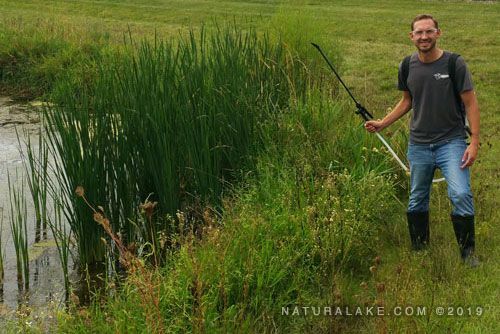 Managing cattails can often be very difficult and control may take multiple attempts. Both physical and chemical control methods can be used successfully. There are few things as difficult to treat as Lyngbya, a mat-forming cyanobacterium that grows best in sand. It thrives on an environment caused by high herbicide and algaecide use and its glycoprotein sheath protects it from oxidation and chemical attack in general, often growing thicker with each treatment. 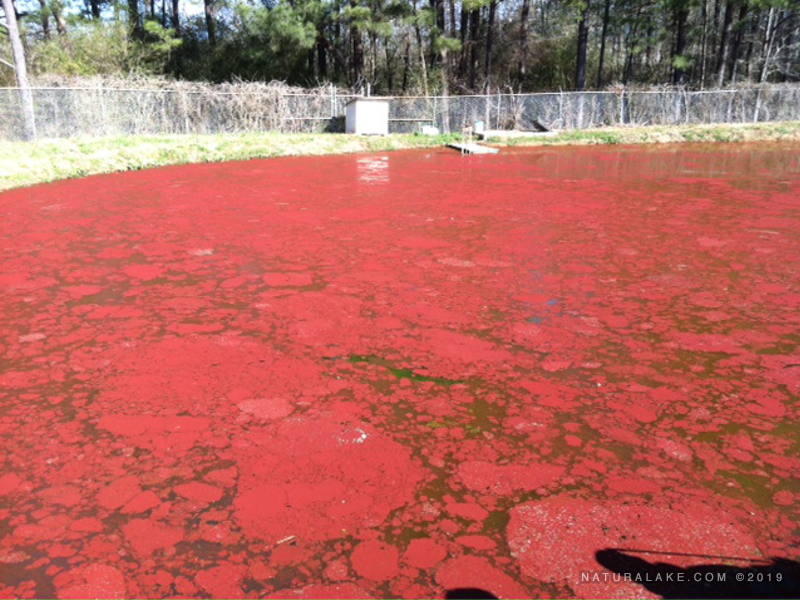 The alga Euglena is one of the most defiant single-celled organisms you’ll ever meet, and not just when it’s staining your pond a punk-rock red. It frustrated early scientists who tried to categorize it as either plant or animal. After going back and forth for years, scientists eventually just created a whole new kingdom to classify Euglena and its rebellious protist buddies. 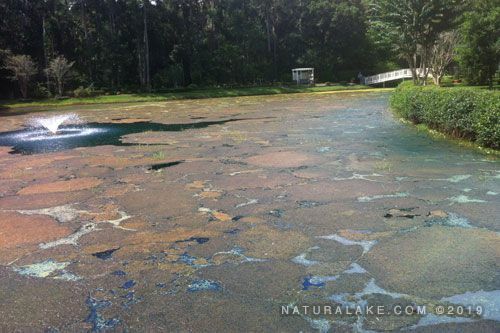 Like so many technologies and advancements before it, copper algaecides were considered a miracle treatment for tough algal and cyanobacteria blooms, but have now started to fall out of vogue based on new evidence of the harm it can cause. 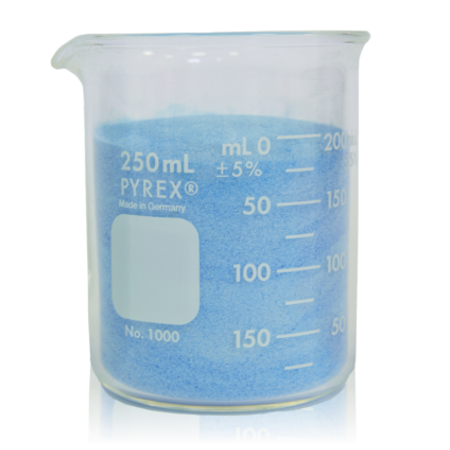 So many applicators across the country and world are now feeling pressure to eliminate or reduce copper sulfate and chelate use, and Naturalake Biosciences would like to help them do so.